But wait!…in case I got distracted… an opportunity to meet another NASA astronaut, Dr. Mary Ellen Weber, came my way in May of this year. She also had a message that resonated with this 50 something…Dr. 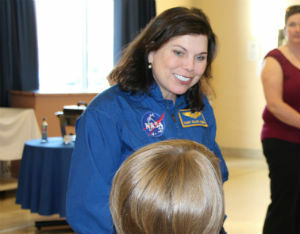 Weber is… by my calculations… in her early 50s…She was talking to some young girls and said “Yeah, I was thinking that too…I might like to go back to University and be a veterinarian” …I think this NASA Astronaut/Chemical Engineer is seriously thinking about going back to University to be a vet. Why? Because she realizes she has exactly one more lifetime ahead of her (20-30 years) and (Yay!) she plans to use it. 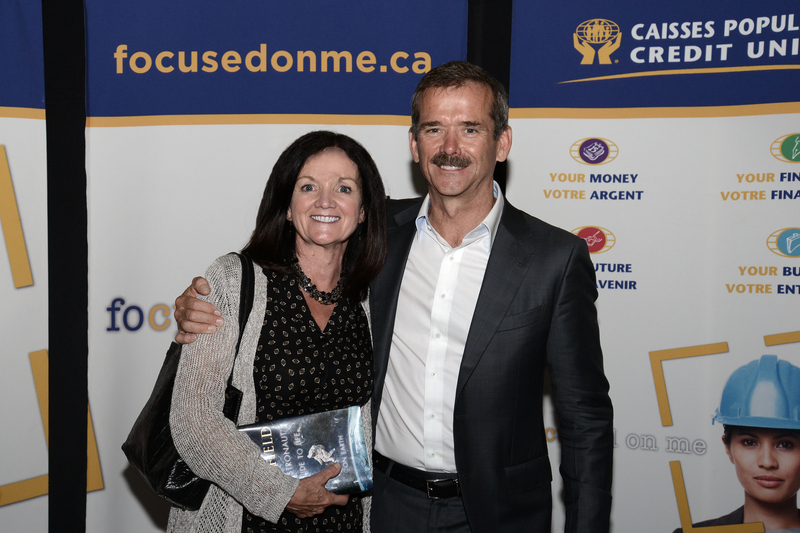 …And when Chris Hadfield was nine years old and watched Neil Armstrong step onto the moon, there were no Canadian astronauts…but that didn’t stop him. What an amazing man! A Canadian who has been the Commander of the International Space Station…A Canadian who put the space program back on the map (A weird comment…but, that was a program that was off the map literally and figuratively) He put a human face on that whole program we grew up with that threw people and dogs and monkeys off this planet…He was/is a worthy addition to anyone’s bucket list…and as I walked away last night he asked about the rest of my bucket list…I told him…he said “There’s still time.” …Yep, there’s still exactly one more lifetime.